I have never been especially proud to be French, but I always felt particularly lucky to be European. Let’s be honest, it’s pretty cool to be able to hop on a plane for the weekend with only your ID in your pocket, fly to Barcelona, Rome, Porto or London and reach your destination in less than an hour. But in 2014, as I was looking through my atlas, my eyes stopped on the other side of the continent I was born in. I looked at all these small nations I had pretty much never heard of before. 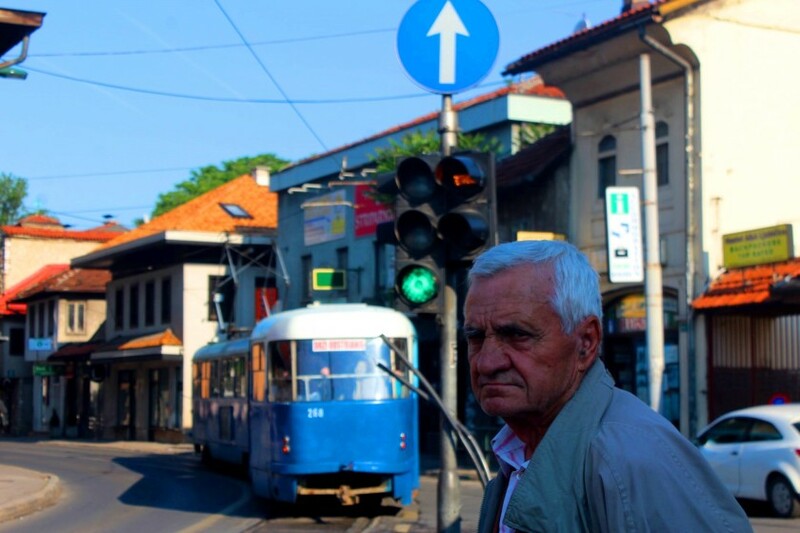 The Balkans intrigued me and I decided that it would be where I would end my next RTW trip. Calling the region “a pleasant surprise” would be an understatement. If you ever think about heading there yourself, here are my top ten favorite places in the region. Albania was the first country I visited in the Balkans and I was astonished by its wonderful landscapes. Though Durres’ beach and the Albanian countryside both almost made my list, my favorite site in the nation is a very old and remote one. 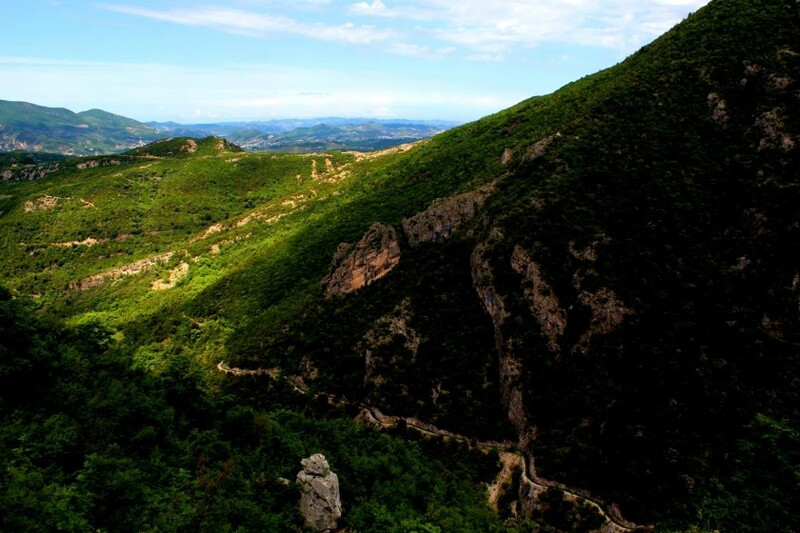 The village of Pelumbasi is located about an hour’s drive away from the capital, Tirana. From there, you will have to trek for an additional hour to reach a place like no other. Hidden in between gigantic mountains and beautiful rivers, the Pelumbasi cave is one of Albania’s archaeological treasures. A few decades ago, a group of Italian scientists discovered remains of a species that lived there between 10,000 and 400,000 years BC. 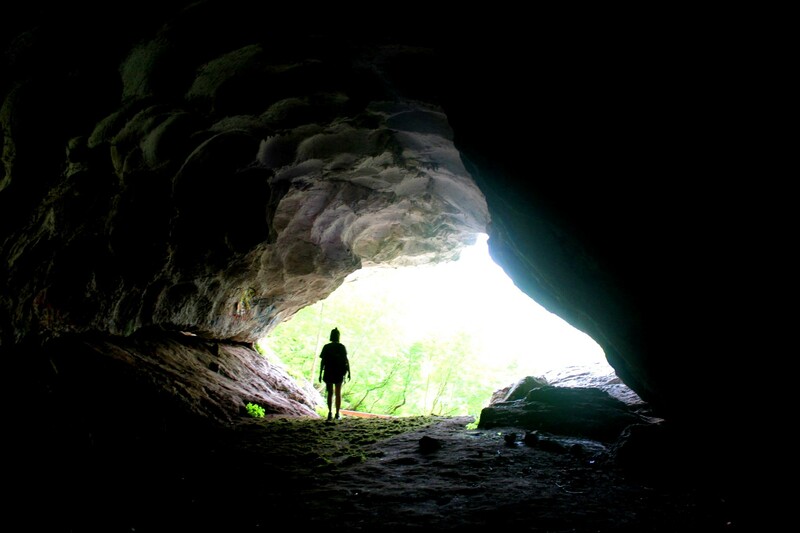 The cave is enormous, full of bats and very dark so make sure to bring a flash light to explore it. Though the experience sounds quite scary, this is a place not to miss and it will be the perfect occasion for you to feel like a true explorer for a day. Belgrade is one of the biggest cities in the Balkans and therefore, a metropolis you will certainly not get bored of. To discover all the famous sites in the Serbian capital, I highly recommend the Free Walking Tour departing every morning from Republic Square. If you’re thirsty after hours of wandering around the city, the place to be is Skadarlija, Belgrade’s most bohemian neighborhood. There, on one of the little paved streets, you’ll find plenty of “Kafanas”, Serbian traditional cafes where you can listen to folkloric music bands while sipping on local drinks like the famous Rakia. I loved exploring Belgrade by bike. 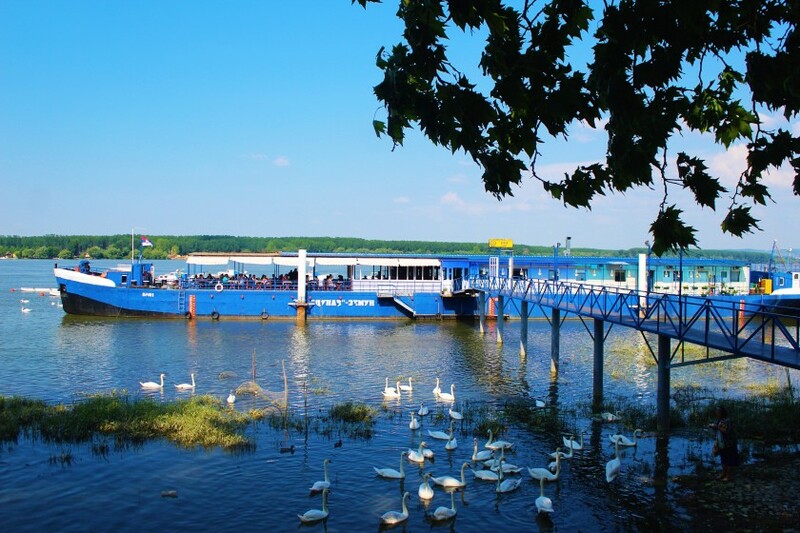 Riding a few kilometres by the Danube river will take you to Zemun, the Austro-Hungarian part of the capital. There, you’ll feel like you’ve switched Serbia for Austria and experience a completely different atmosphere than the one you’ve discovered in the city centre. On your way, stop by one of the many floating restaurants to try typical dishes while enjoying the view on old Belgrade. The best place to end your day is the city’s fortress (one of the biggest in Europe), located by Kalemegdan Park. The views from there are breathtaking, especially when the sun sets between the Sava and Danube rivers. The north of Slovenia holds another natural jewel of the Balkans. 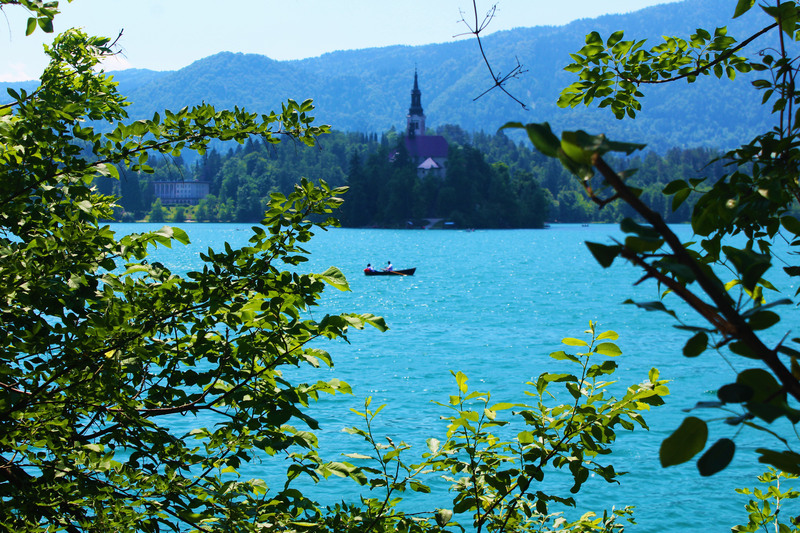 Lake Bled is a crystal blue-green pond where you can swim, rent boats, dive and watch the local rowing club practice their skills or simply enjoy the beautiful panorama by walking along the shore. The lake surrounds Blejski otok, an island in the middle with a pilgrimage church dedicated to the Assumption of Mary. Weddings are held there regularly and it is considered good luck for the groom to carry his bride up the steps before ringing the bell and making a wish inside the church. I spent a day in Bled, just chilling and enjoying the peacefulness of the place, without seeing the hours passing by. This is the ideal setting for a romantic week-end getaway or if you just need a rest-day. Croatia is by far the most touristy country in the Balkans. However, foreigners usually opt for cities along the coast like Dubrovnik, Zadar or Split, or the islands for their vacations and omit the nation’s capital from their itinerary. They don’t know what they are missing out on, though: I could spend weeks exploring Zagreb, buying fresh fruit every morning at the Dolac central market, reading about love-stories at the Museum of Broken Relationships (my favorite museum of all times), walking through the Upper Town and its small alleys, watching people pray and light candles under the Old Town Gate or just sipping fresh lemonade on Tkalciceva, sitting in one of the street’s crowded café terraces. In Zagreb I ate some of the tastiest ice-cream in the world: head to the traditional Croatian pastry shop Vincek and try the pumpkin seeds gelato – you will thank me later! You might want to burn some calories after that and the best way to do so is to walk through one of the many parks in the city. My favorite is Lenucijeva Potkova, a wonderful garden conceived two centuries ago. Another option for an afternoon promenade is Mirogoj, the huge cemetery located in the upper part of the city. 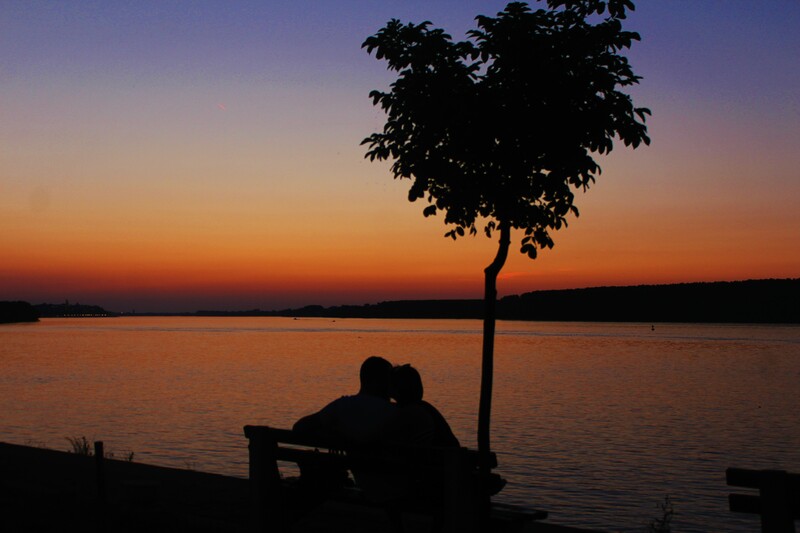 You can then head to the Jarun Lake to enjoy the sunset. During summer, the city usually sets up an open-air cinema and often screen movies there, so bringing a blanket and a picnic might be a good idea if you head towards this area. Ljubljana is one of these cities I didn’t expect much of and oh – I could have never been more wrong. I fell in love with the Slovenian capital as soon as I got there. I usually describe it as the Amsterdam of Eastern Europe – it’s full of people riding bikes. Walk around the cobbled streets of the city centre, admire the colorful buildings surrounding you, and enjoy the sight of the little boats cruising the Ljubljanica River. 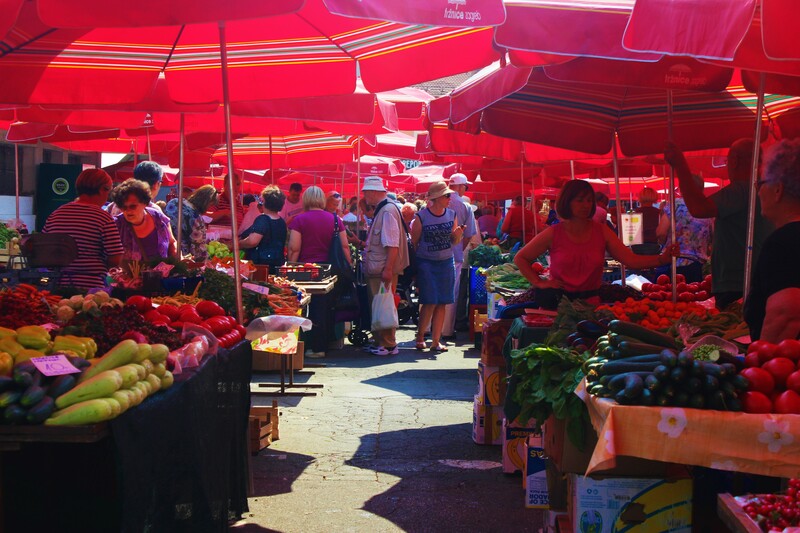 When hungry, head to the local market to munch on a fresh fish sandwich or a great potato salad sold at the food stalls. Then, cross the Preseren Square and walk over Tromostovje (Triple Bridge) to enter the old town. That’s when you get to the best part of Ljubljana: all the small lanes are decorated with amazing street art and are full of local design shops selling the most amazing gadgets and decorative objects. Finish the day watching the night setting in from the castle, on the top of a big hill overlooking the town. 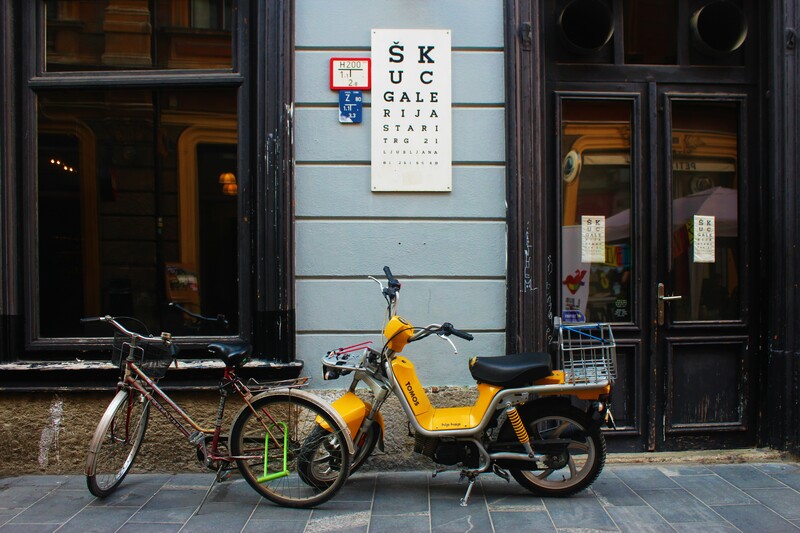 Before leaving Ljubljana, pay a visit to Metelkova, close to the train station: one of the most creative and best-known neighborhood in town. My stay in Bosnia taught me more about ex-Yugoslavia than any history book could have ever done. I settled for about a week in the country and it was definitely one of the highlights of my trip. Because not only is Sarajevo a beautiful capital, it is also a place which literally rose from the ashes and inspired me in many ways. Hard to believe, when you see all the locals enjoying Bosnian coffee in beautiful Stari Grad (Old Town) that, twenty years ago, the city endured the longest siege in history since World War II. Many buildings in the capital are still testifying of the violence of the war, like Gradska Vijećnica, the beautiful national library where thousands of books were burnt during the conflict. I highly recommend to join an organized tour to visit the Tunnel of Life, the Snipers Alley or what used to be the town’s Jewish cemetery to fully comprehend what happened in the area we now call Bosnia. 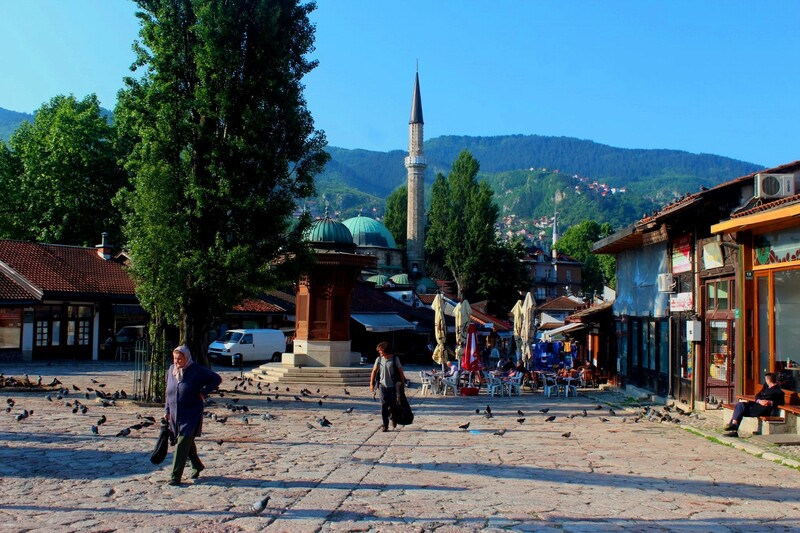 In the same spirit, don’t miss the Srebrenica gallery, located close to Sarajevo’s main cathedral. But despite of what happened just a few decades ago, the Bosnian people I met taught me that their country and their culture could not be limited to these tragic events. I was lucky to be there when an exhibition called “Sarajevo 1914 – 2014” was still running. Its goal was to show another image of the city, one of a place celebrating life, a capital full of beauty. There, I learned about the Bosnian singers, actors, sportsmen, fashion icons and events that populated the city for over a century. In my opinion, nothing can make for better eye candy than nature, and I’m sure you will agree with me if you ever visit Ohrid. 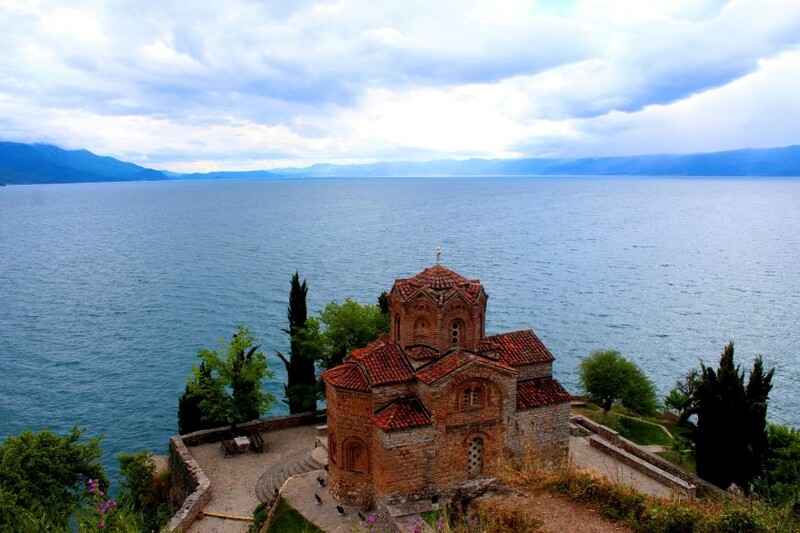 Declared as a World Heritage site by UNESCO, Ohrid is one of Europe’s deepest and oldest lakes. Scientists estimate that it was formed more than 5 million years ago and it is now particularly known for its unique aquatic ecosystem. 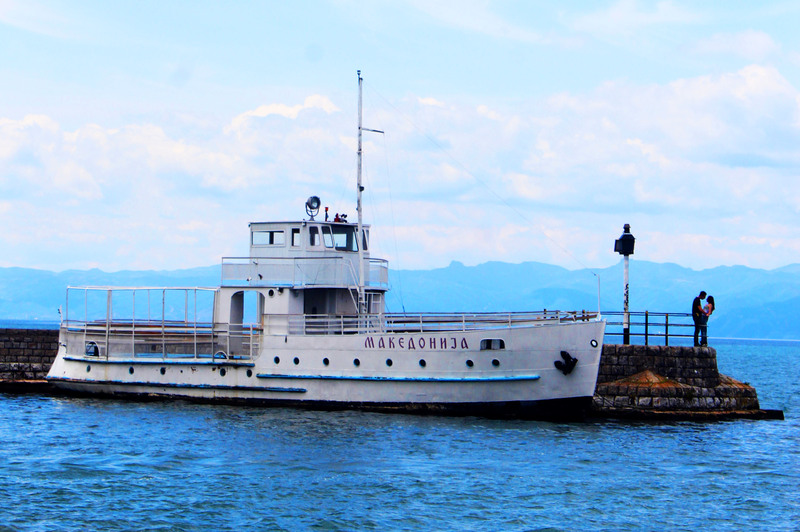 Ohrid is one of the most beautiful lakes I have seen in my life, along with Titicaca in Bolivia. It is located between Albania and Macedonia and can be accessed by a beautiful little town named after it. You can easily spend a day or two there, enjoying the beauty of the surroundings and visiting the many orthodox churches in the village, in order to learn more about Macedonian culture and history. Don’t miss Sveti Jovan Kaneo, one of the town’s most beautiful sites, overlooking the lake, making it the perfect place for watching the sunset. Let’s go back to Bosnia for a moment, as we enter my top three favorite places in the Balkans. Though it was quite crowded when I was there, nothing could harm the beauty of Mostar. 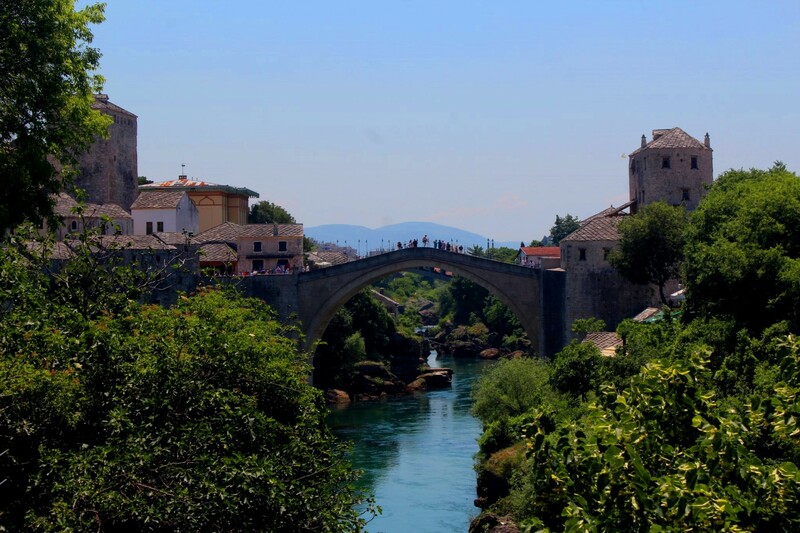 The town is particularly famous for its old bridge, Stari Most, built by the Ottomans in the 16th century, which is a symbol of connecting people and cultures of the east and west. In summer time, you can usually spot local divers jump from this 24 meters bridge crest to entertain the tourist. Foreigners have also invaded Mostar’s old town in recent years but I can’t blame them, as it is a very cute place. Don’t leave Mostar without paying a visit to the neighbouring town of Blagaj, where you’ll get to discover the town’s Tekke (a Sufi monastery from the 17th Century), standing by the source of the Buna river, another one of Bosnia’s treasures. Montenegro, I LOVE YOU! Even though you only reached the second place in my list. This country was nothing like I had expected any nation in the Balkans to be, and I was surprised by its astonishing natural beauty. Just head to Kotor and you’ll get the idea. Its old town, its cobbled streets, clothes drying high above your heads, lazy cats laying in the sun, fishermen cruising the bay on their boats… The “Kotor feeling” is quite indescribable, you just have to live it to fully understand it. This town takes you into another era and its tranquillity is incomparable. Hiking up to the Kotor fortress opens up an amazing panorama. Plitvice is one of those places, that will forever and always stay in my heart. Founded in 1949, Plitvice National Park is located at the border of Bosnia and Croatia and is actually one of Europe’s oldest national parks. It is even a UNESCO World Heritage Site. I walked through the park for ten hours straight, and enjoyed every minute of it. Walking here doesn’t even tire you out, because your mind is completely absorbed by the beauty of your surroundings. 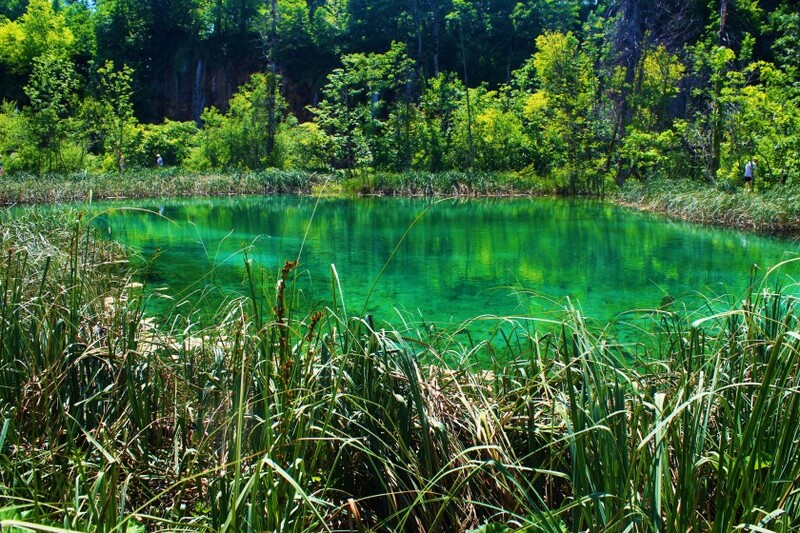 Just imagine walking through a forest, full of waterfalls and lakes of water, so blue and pure that it dazzles you. Sparkly blue dragonflies are accompanying you at your walk and you feel the sun gently kissing your skin. Now, can we all agree that this is Paradise on Earth? If you made it through this entire top 10 list, you must have come to two conclusions. First, the fact that I am addicted to sunsets (and yes, I LOVE sunsets just as much as backpacking and chocolate). Second, the Balkans are a breathtaking region that you need to see asap. These countries amazed me by their beauty and taught me a lot about history and humanity. And if you’re still not completely convinced by my list, just go there and experience it for yourself. 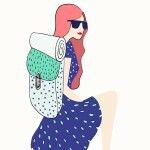 I am sure that it will also become one of your best traveling memories. 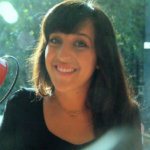 I live in Belgrade, and let me tell you - I am impressed by this list. These truely are some of the best places in the Balkans. If you are visiting Serbia, you shoulf consider visting city of Novi Sad and the mountain Fruska Gora near the city (this is also a national park). And, of course, mountain Zlatibor in south-west part of Serbia. I do not recommend road trips during the summer months because the roads are crowded and there is A LOT of waiting on the borders. Also, don't use trains because they are always late, too slow, stinky and someone is always trying to rob you. Don't forget to try Serbian beer, our national drink Rakija (but be careful, this drink will make you lose yourself) and our Gibanica, prepared with some of the best cheese in the Balkans. If you are in Belgrade, DO NOT BATHE IN THE LAKE OF ADA CIGANLIJA. The lake is a nice place for walks, picnics, bike rides, jogging, maybe a coffee in some of the coffee shops next to the water. You will se a lot of people bathing here, but, let me tell you: the water is really dirty and your health isn't worth of that risk. Also, Kalemegdan fortress is something you can't, shouldn't, mustn't miss. I truely recomend Sinnerman Jazz club, it takes place on the top of a building in the center of Belgrade, prices are affordable, staff is really nice and the view is worth millions of euros (dinars :)). Really nice article!!! I wish I could be there now. I am from Slovenia but currently living in the UK. 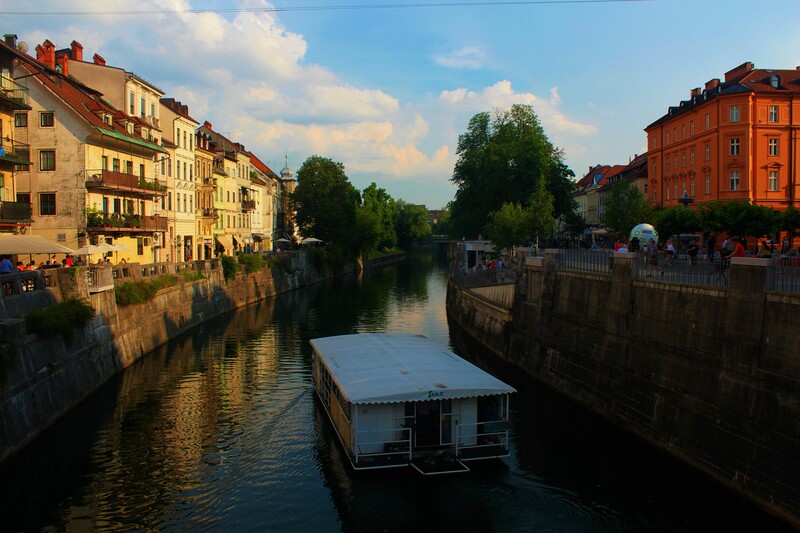 I miss having countless coffees with my friends in one of the bars next to Tromostovje (Three Bridges) in LJubljana. It is such a peaceful relaxing place to be. As far as I can see you enjoyed your trip. I adore the Balkans! We Europeans certainly are lucky to have such beautiful places so relatively close by. After stopping by on a couple of recent InterRail trips I'm dying to explore more of Slovenia and Croatia so I'll be adding some of the places you mentioned to my mental list- Ljubljana looks stunning. awesome post, I love the Balkans! 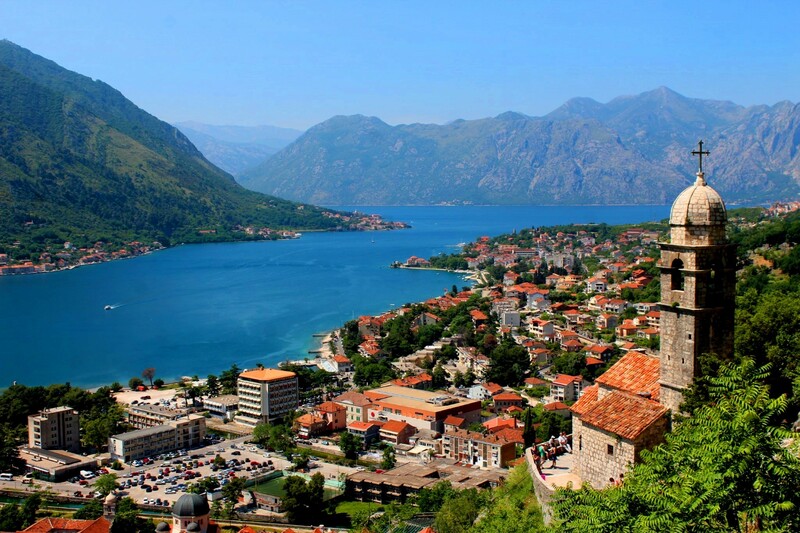 A very nice list, I never knew that Montenegro is so pretty! 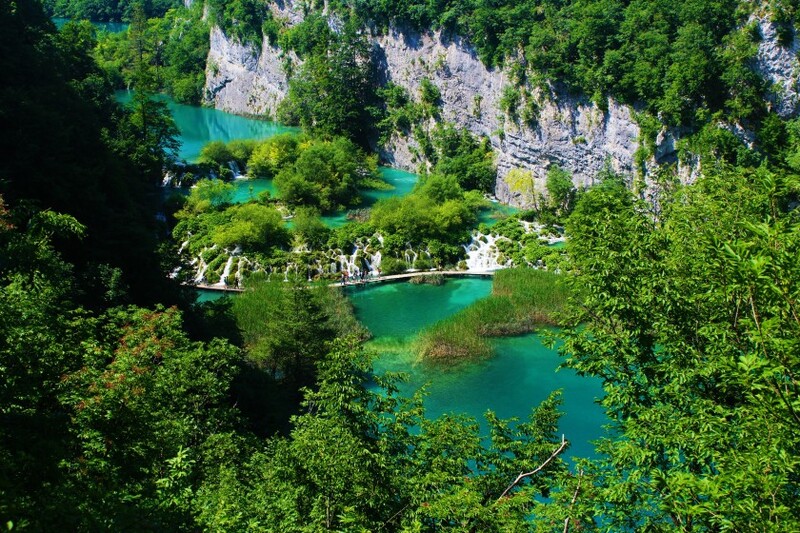 I LOVE PLITVICE LAKES NATIONAL PARK! I didn't spend nearly enough time in the Balkans on my last trip. I need to return. I've always wanted to go to Belgrade in particular. I'm not sure why, but the city just appeals to me. Great post! I haven't had the chance to explore the Balkans, but I can't wait! This list is fabulous. I will definitely keep these locations in mind when I'm planning my adventure. Great post and pictures! I haven't been to these places yet, but would love to visit them! I adore that area! Of those, I had a chance to visit Belgrade, Bled, Zagreb, Ljubljana, Ohrid, Kotor, and Plitvice but would absolutely love to return to see more. Gah! I haven't been to any of these places! But I hope to remedy that with a road trip around the region this autumn. Thanks for the inspiration! Thank you so much for this article! It makes me happy that the Balkans are gaining in popularity. My parents are from Croatia and Kosovo, so the Balkans hold a special place in my heart. Out of the places I've been to on your list, Kotor was my favorite. 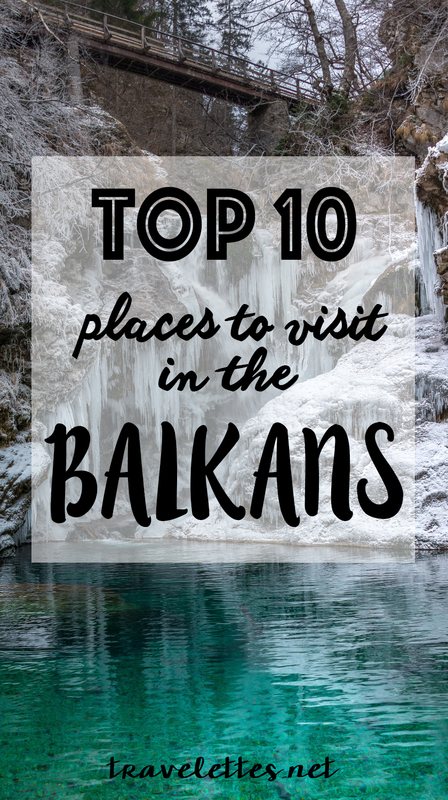 The rest of the places are on my bucket list for next time I visit the Balkans! Thank you for sharing your beautiful photos and commentary. I am going to some of these places in 2016 and am now looking forward to it even more since reading your article. Lovely places......have visited some of them, but more to go! Never been in Makedonia or Slovenia! Going to Montenegro evry year, I no have new places tpo visit! Wow, all the photos on this list is making me really, really envious. To visit all of the places on this Balkan list, how long would you recommend? I was thinking of doing it in 2 weeks next year as I have limited leave, but yeah I definitely need to plan everything by the book since I'd probably rely on the trains or other public transportation (like overnight bus or something). I really enjoyed your list. I have four days to see the area around Skopje, because I'm recording with the orchestra there. What would you recommend doing or seeing if you only had four days. I was contemplating driving to Albania, Ohrid or possibly Kosovo. I don't know the area at all. If I were you, I would definitely go to Ohrid for a day or two, And then I would either go to Albania or visit one of the National Parks in Macedonia (which I hadn't the chance to do but sounds great too!). Well, two weeks is short to see all the places of the list but you can still manage to see some of them... If I were you, I would choose only 3 countries of the Balkans. Montenegro, Bosnia and Croatia were my absolute favorites in the region but I really enjoyed Slovenia too and wished I had spent more time there... Therefore, you should probably start your trip there, then travel your way to the three other countries I mentioned and finish the trip in Croatia or Montenegro (the closest countries to Italy). Enjoy!! 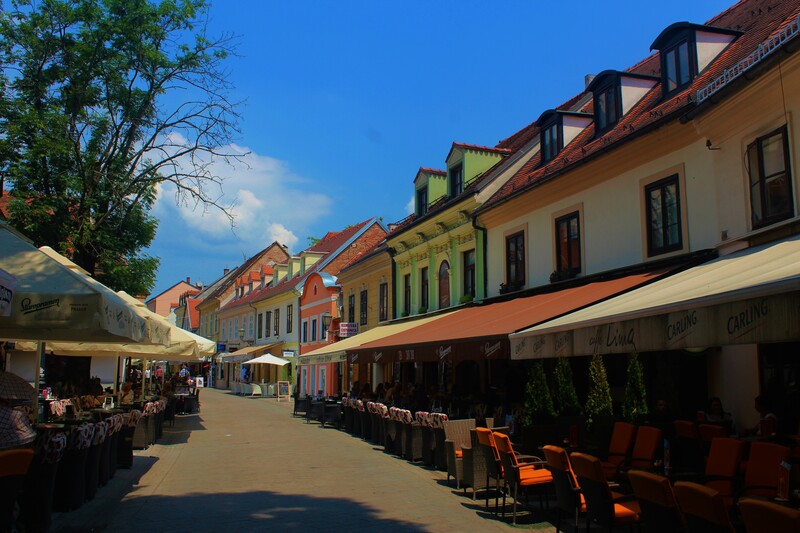 Hello everyone,i live in Skopje Macedonia and i have to tell you that there is a lot of beautiful places in my country.I will make a list with photos this days,maybe you will find something interesting for your next trip :).But now i want to recomend to you one beautiful place in Serbia.The name is Zlatibor.I was there last year and it was wonderful. Awesome list! I'm planning my next trip and I've already been in Croatia but I'd love to explore the rest of the Balkans' area, so I'll save this post for future reference!, Thanks for sharing! Not quite sure why Bulgaria is not in the list?! Probably the best country to visit in the Balkans. Definitely the oldest, the best food, beautiful seaside and mountains.